Astronomers have long pondered the mass of the Milky Way Galaxy, with modern estimates ranging between 500 billion to three trillion times the mass of our Sun. Now, data from the Hubble Space Telescope (HST) and the European Space Agency’s Gaia observatory have been combined to give a new answer — around 1.5 trillion solar masses. Dark matter, which makes up the vast majority of the matter in the galaxy, cannot be seen, but its gravity plays a pivotal role in how our galaxy behaves. Differing models of the distribution of dark matter in our galaxy was largely responsible for the wildly varying estimates for the mass of the Milky Way. Globular clusters, relatively small collections of stars orbiting the Milky Way, were studied to obtain this new measurement. Bound to galaxies by gravity, their velocities provide a way to determine the mass of a galaxy — the more massive a galaxy is, the faster the globular clusters surrounding it travel. However, accurately measuring the velocity of these clusters around the Milky Way was not possible until Hubble and Gaia launched into space. “Most previous measurements have found the speed at which a cluster is approaching or receding from Earth, that is the velocity along our line of sight. However, we were able to also measure the sideways motion of the clusters, from which the total velocity, and consequently the galactic mass, can be calculated,” said N. Wyn Evans of the University of Cambridge. The Milky Way is home to roughly 200 billion stars, and it contains a supermassive black hole in its center with a mass four million times as great as the Sun. In addition, our galaxy is also surrounded by vast quantities of dark matter. Although it does not release any radiation, astronomers know dark matter is present, due to the influence its gravity plays on our galaxy. “We want to know the mass of the Milky Way more accurately so that we can put it into a cosmological context and compare it to simulations of galaxies in the evolving universe. 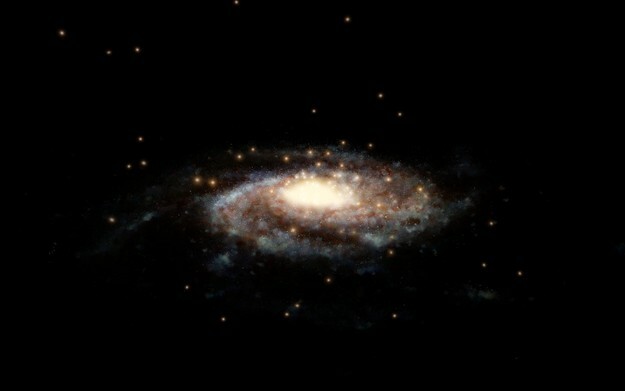 Not knowing the precise mass of the Milky Way presents a problem for a lot of cosmological questions,” said Roeland van der Marel of the Space Telescope Science Institute (STScI). The Gaia satellite was launched in 2013, on a mission to create a 3D map of more than one billion stars in our galaxy. Data from that observatory was combined with observations from Hubble to study the movements of our globular clusters, in order to measure the mass of our galaxy. Researchers compiled Hubble data on 12 clusters stretching out 130,000 light years from Earth, combining it with observations from Gaia on 34 clusters located as much as 65,000 light years away from our world. 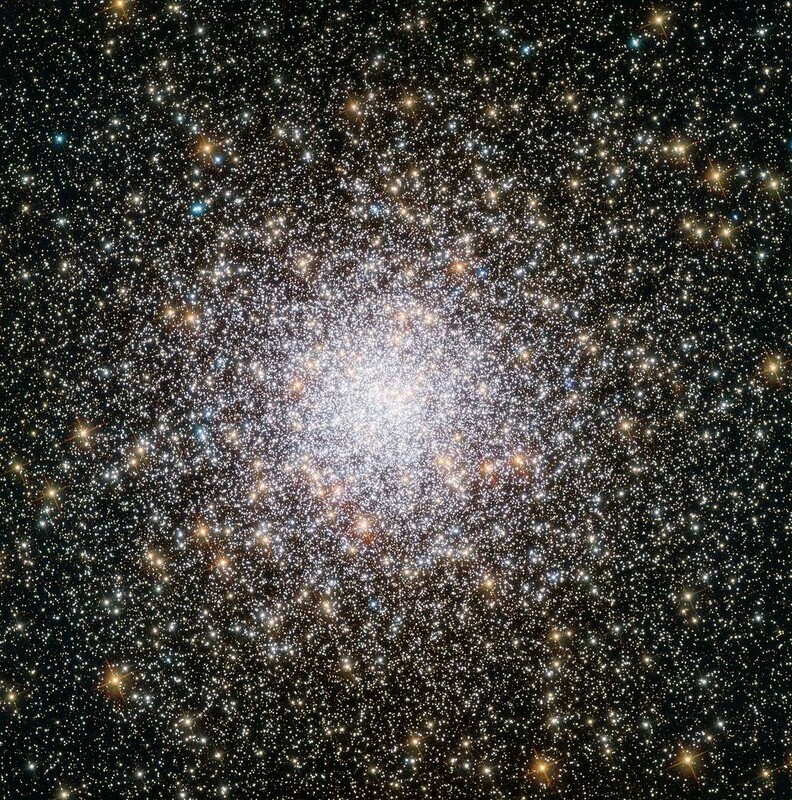 Globular clusters contain some of the oldest stars in the Universe, tiny stars formed in the earliest stellar births in the Cosmos. The mass measured in this new study of the Milky Way is located within 129,000 light years from the center of the galaxy. Other galaxies have a wide range of masses — between one billion and 30 trillion solar masses. Dark matter is found not just around galaxies, but between them as well, affecting the evolution and behavior of galaxies throughout the Universe.